If you watched ON THE SCENE this weekend, thanks and let me know what you think, especially the Jim Norton interview or the Bruce Springsteen exhibit at the Constitution Center in Philadelphia… either here on the blog or on my new toy, Twitter. You can follow me at JohnBathkeLive. It’s an awe inspiring choice! I didn’t see the light of day. Sunup to sunset as I was in edit suite with an amazing creative team pulling this weekend’s ON THE SCENE together. My interview with comedian Jim Norton airs in this show. Loved interviewing this guy who I did not know before our interview. He’ll talk about anything and he doesn’t hold back about his own life. That’s an interviewer’s dream. Whether you like his comedy or not, his life story of struggle and failure on the road to success is interesting and a lot of people are going to relate to it. So tune in 8:30 am, 11:30 am or 4:30 PM this Saturday and Sunday on News 12 NJ. Memorable show. And hit me up on twitter JohnBathkeLive. Remind me to bite my tongue, but I probably won’t! The difference between a song that’s a chart topper that quickly fades away and a song that endures to become a classic is relevance. New listeners over generations can project themselves into a classic, each hearing something a little different, each moved based on their own life experience. A classic song isn’t just beautifully built like a house, it has body and soul and new life is breathed into it with each person who experiences its words and melody. And every so often there comes a song that saturates the airwaves, becomes an internet obsession, launches an artist worldwide…a song that sets trends, has deep meaning in the simple language of its verses, an irresistible chorus, and a video to go with it that is not just artistic but the perfect marriage of the song’s vocal and visual story. 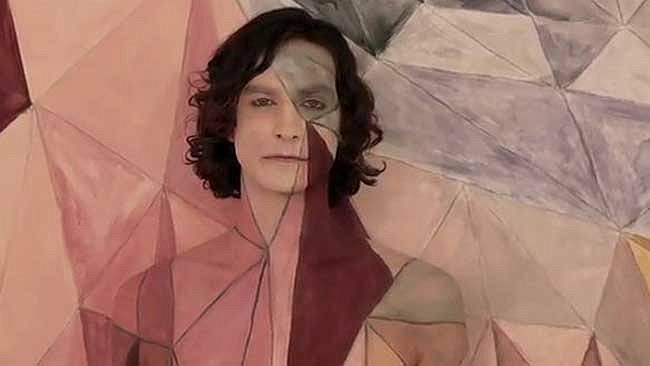 Right now that song is “Somebody That I Used To Know” by the Australian singer songwriter Gotye. Last night he performed the song on “Saturday Night Live.” Tonight he’ll perform it at the Coachella Music Festival in California. Gotye’s song tells a story that is as old as time: man, woman, relationship down the drain and the hard feelings that linger. And the nagging hurt that each treats the other like a stranger when they once shared their most intimate feelings and desires. Gotye’s decision to write a verse with the woman’s alternate perspective (sung by breakout artist Kimbra) was an ingenious decision in storytelling and is probably why the song became such a hit. It’s not often that both sides in the relationship-gone-bad song get a voice. But when a friend sent me the link to “Somebody That I Used To Know” being performed as a cast number on “Glee” I confess I was skeptical. I believe the word “vomitous” came up when I learned the song had been turned into a production number. I did not want to see a this song that is singlehandedly resuscitating what’s left of Top 40 and adult contemporary radio and the one new song that we want on the ipod, diminished into a platform for contrived teenaged angst or the quarterback-cheats-on-cheerleader high school plot. But a classic song will also surprise you. And that’s how I felt after watching the “Glee” version. Will it ever be my favorite cover? No. (Neither will the cringe inducing duet performed on American Idol by contestants Elise Testone and Phillip Phillips). But the way in which “Glee” used the song to tell story of the estrangement of two brothers is interesting. It speaks to the scope of Gotye’s writing. The song has the depth and breadth to have relevance in relationships that I had never envisioned. Not just romantic but between siblings, a parent and child, or best friends. And that’s how classics are born. Back in February, I announced here on the blog and at johnbathke.com that ON THE SCENE was nominated for a New York Emmy Award this year. My last update was Sunday as I was getting ready to head to the Marriott Marquis for the ceremony. The nominated piece, “Through Bojana’s Eyes,” symbolizes what ON THE SCENE is all about. It’s the story of a painter (Bojana Coklyat) who triumphed over vision loss and chronic diabetes to continue creating. With each episode ON THE SCENE enlightens, inspires and lifts the human spirit through interviews with tremendous talents in the arts world. It is a joy each and every minute I devote to preparing this show. Some other surprises are in store for the next show and I’ll be writing about it here. To watch recent work head over to the Credits page of http://www.johnbathke.com. And check back here for news about other guests very soon. You are currently browsing the John Bathke's Blog blog archives for April, 2012.